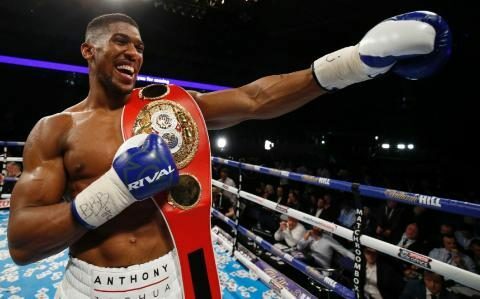 A £30 million mega-fight between International Boxing Federation world heavyweight champion Anthony Joshua and former world No 1 Wladimir Klitschko on Dec 10 is set to be confirmed by Matchroom Sport, early next week. Negotiations for the contest between the unbeaten London 2012 Olympic super-heavyweight champion and the Ukrainian were near completion late last week, with the Manchester Arena the favoured venue. The O2 Arena in London had been preferred, but concerts by Madness on Dec 10 and Fat Boy Slim on Dec 17 are thought to have ruled it out. Promoter Eddie Hearn had been dropping hints all week that both heavyweights “should be in the gym focusing on fighting each other” while suggesting that Klitschko was a “big favourite” to meet Joshua in his 18th outing. The two are likely to share the purse, with the contest screened on Sky Box Office. Klitschko, who reigned as heavyweight champion for 9½ years, is said to be “delighted” that the contest will go ahead after almost a year out of the ring. Tyson Fury, Joshua’s British heavyweight rival, paved the way for this fight by defeating Klitschko in Düsseldorf last November to win the World Boxing Association, IBF and World Boxing Organisation titles. Fury was stripped of the IBF title for failing to defend against mandatory challenger Vyacheslav Glazkov due to a rematch clause with Klitschko and the belt was subsequently won by Joshua in London from Charles Martin in April. Fury withdrew from two scheduled rematches with the 40-year-old Ukrainian and then relinquished his WBA and WBO belts just hours before his licence was suspended pending an inquiry by the boxing board over drug allegations. The Joshua-Klitschko match is likely to break the record of 1.2 million pay-per-view sales for a British fighter in a world title contest, set when Ricky Hatton fought Floyd Mayweather in Las Vegas in 2007. Telegraph Sport understands that the stumbling blocks for the two promotional teams, Hearn’s Matchroom Sport and K2 Promotions, in announcing the contest late last week were fine-print contract details, including which American network would air the fight. Klitschko has an ongoing deal with HBO, while Joshua has a contract with Showtime, their US rivals. 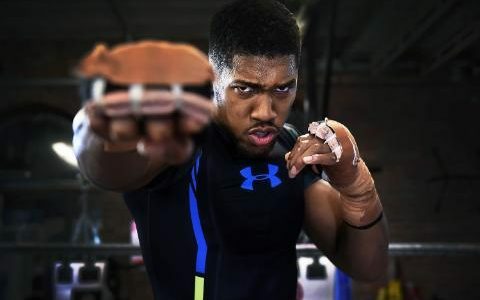 The huge challenge for Joshua will be overcoming the vast experience the Ukrainian has amassed in a 68-fight, 20-year career, in which Klitschko, an Olympic champion himself, became the dominant force in boxing’s blue-riband division. 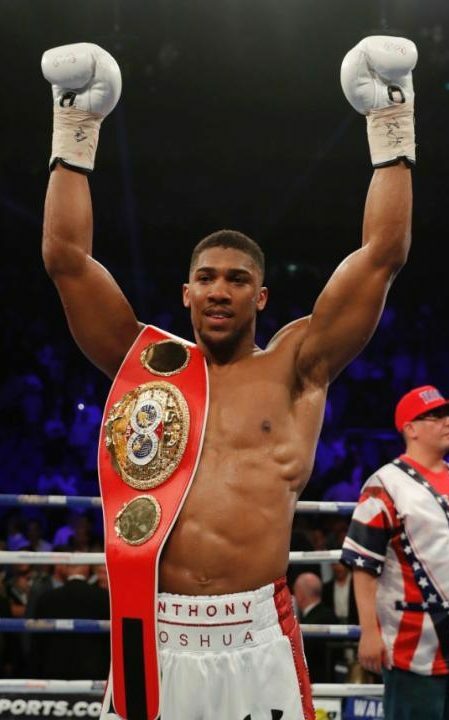 Joshua, elevated rapidly to world champion status, remains a novice and was a mere sparring partner for Klitschko 16 months ago, having sought out the kingpin to gain experience. His principal task will be to nullify the Ukrainian’s jab, which Fury did so effectively. It could be a true test and remains a 50-50 fight, pitching Joshua’s youthful ebullience against Klitschko’s long tenure in the ring. Joshua, who has had just 41 rounds in 17 fights – to Klitschko’s 368 rounds – boxed 20 rounds with Klitschko in training camp in Austria, remarking at the time how “effective and dangerous” the then champion’s jab was. “That’s why I went out to the camp. Some people go out there to spar Klitschko and prove themselves, but I wanted to speak to him,” Joshua said. The proving time has come for Joshua, although some may argue that Klitschko is already damaged goods in the wake of the Fury loss. “We had great conversations,” said Joshua of last summer. At the time, Joshua said the problem facing Klitschko was that “Father Time might catch up with him”. Joshua now has the opportunity to show that it is he, not Father Time, who has caught the ageing fighter at an opportune moment.